In 2003, Snow Patrol released their third album, Final Straw. It followed two previous albums, neither of which troubled the music charts but which laid the groundwork for what was to come. The stars aligned, however, and something clicked with Final Straw. Cue a sequence of hit singles — ‘Run’, ‘Chocolate’ and 'Spitting Games’ — the album residing in the upper regions of charts, and Snow Patrol breaking through the usually resistive American market. The follow-up album, 2006’s Eyes Open, was an even bigger triumph. The road to success had started almost ten years previously, in 1994, when Bangor-born, Belfast-raised lead singer Gary Lightbody formed Snow Patrol in Dundee, where he was studying English Literature. The band comprised Belfast and Scottish friends, moved as a unit to Glasgow in 2001, and set about writing and recording their last-ditch attempt at success — the aforementioned Final Straw. 'Snow Patrol struggled for ten years making music on our own terms,' Gary Lightbody has said, 'with very few people listening. Suddenly, at pretty much the same time, we got a very good record label, an incredible producer, a great manager, some luck, daytime radio play, and then — boom.' Success, he says, boils down to three things: luck, the people you’re with, and the music you make. 'All the rest is insignificant.' 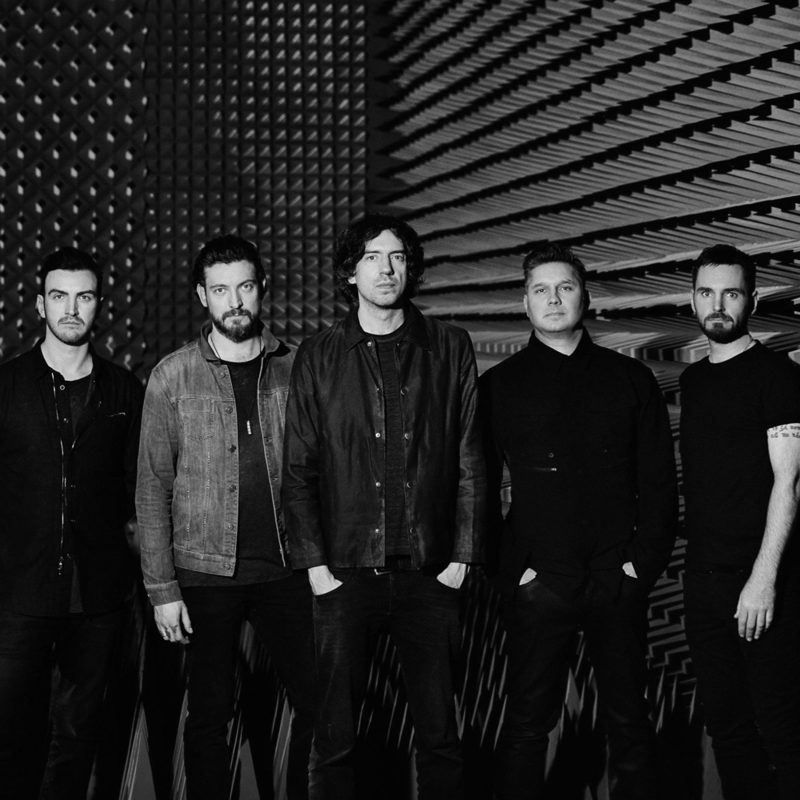 Snow Patrol will review their career to date, as well as exclusively preview tracks from their forthcoming album, Wildness. Unique is a word that is too often casually applied to some people who are anything but. Shane MacGowan, however, is a completely different proposition. Having experienced the mother and father of all sixtieth birthday celebrations at the start of the year in Dublin’s National Concert Hall (where the likes of U2’s Bono and Nick Cave to the President of Ireland were on hand to pay due regard), Shane MacGowan can easily lay claim to being one of a kind. The cross-cultural pollination of his early youth and teenage years caused a fusion of music and words that reverberates and influences to this day. A formative and unadulterated Irish experience in his parents’ rural Tipperary locale was transplanted to his teenage years in London, notably during 1976-’79, when the UK’s youth was — much like MacGowan himself — swayed by the raw, visceral intensity of punk rock. Inarguably, the results forged an authentic songwriting sensibility that not only referenced his love of Irish writers such as WB Yeats, JP Donleavy, Brendan Behan, James Joyce and James Clarence Mangan but also the immigrant experience in London. Cue contemporary music’s first London-Irish expression, and in one Shane MacGowan, rock music’s foremost back-alley bard. In conversation with Stiff Records’ supremo, Dave Robinson, Shane MacGowan will be talking about his favourite records, what they mean to him, and how they shaped him as one of the greatest songwriters of the past forty years. 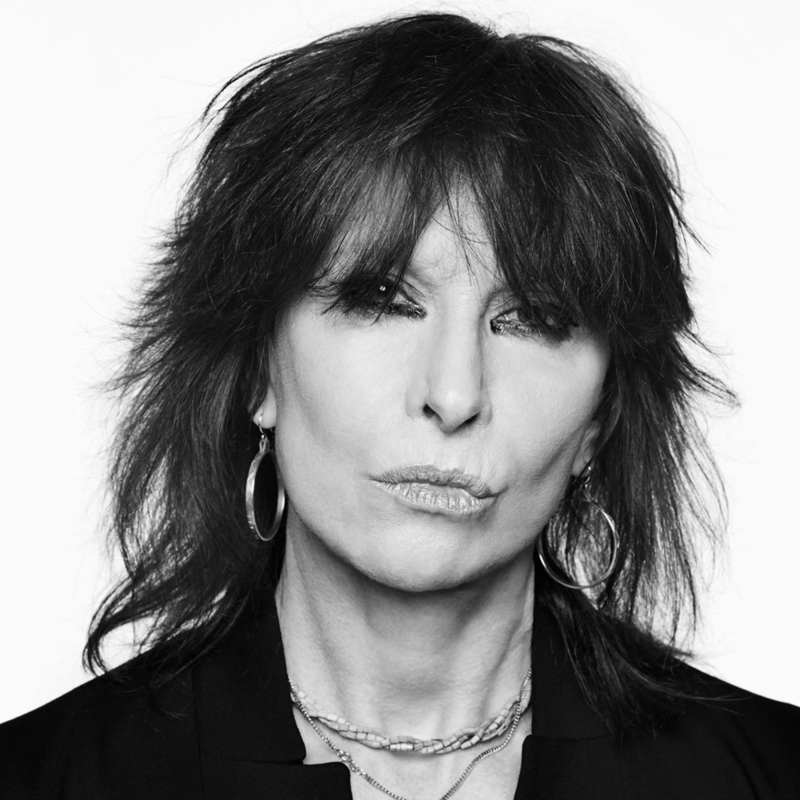 In conversation with UK freelance music writer/broadcaster Pete Paphides, Chrissie Hynde will discuss how she made it from America to London just in time for punk rock to kickstart a singular, sometimes confrontational, career that has lasted over four celebrated decades. One of Ireland’s most significant and singular actors, Cillian Murphy has startled (and possibly reassured) many people with his own special creative twists and turns. He began his career in Irish theatre in 1996 with a magnetic performance in Disco Pigs (written by close friend, playwright Enda Walsh, with whom he has subsequently collaborated on commended theatre works Misterman, Ballyturk, and earlier this year, Grief Is The Thing With Feathers). Murphy came to international attention in 2001 via an equally mesmerizing performance in film director Kirsten Sheridan’s version of Walsh’s play. He followed that with 2002’s 28 Days Later (directed by Danny Boyle, with whom he would again collaborate on 2007’s Sunshine), and has since delivered an uninterrupted sequence of much-admired work. 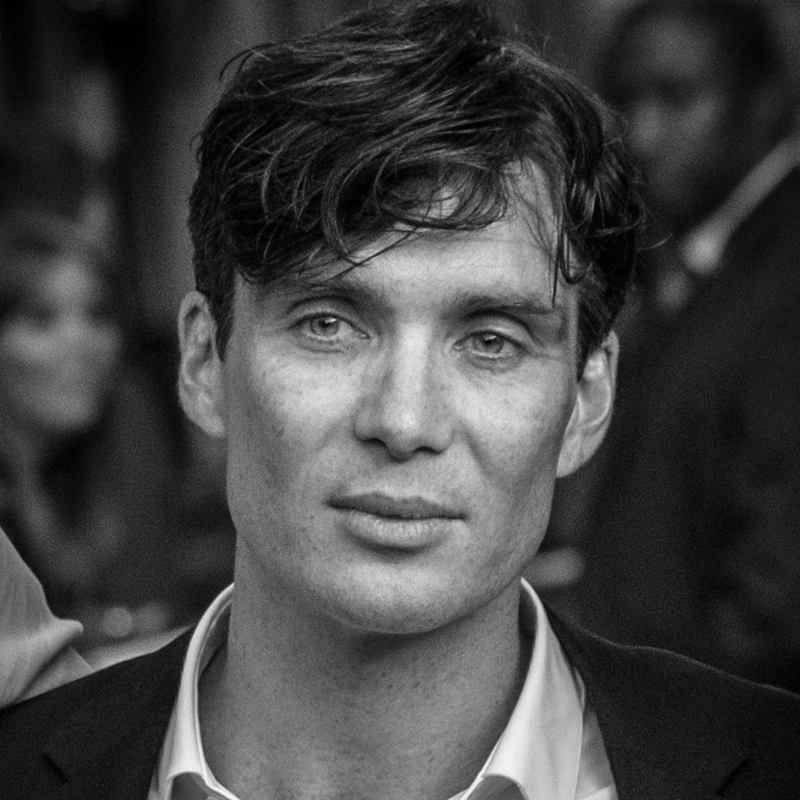 An actor of integrity and depth, Cillian Murphy straddles big budget and independent movies, selected theatre and prime-time television projects with an all-encompassing passion for music. For pop music fans, one of the great televisual moments of the past forty years was when the Boomtown Rats appeared on Top Of The Pops in November 1978. Released in mid-October, 'Rat Trap' was the band’s fifth single and followed their previous UK Top 10 hit ('Like Clockwork') and three UK Top 20 hits ('Looking after Number 1', 'Mary Of The Fourth Form', 'She’s So Modern'). It reached the top spot quickly enough, ousting John Travolta/Olivia Newton-John’s seven-week smash hit 'Summer Nights' from the pole position. Ripping up photos of the Grease pair before surging into 'Rat Trap', Bob Geldof and friends were making a point: pop is dead, long live New Wave. Matters didn't really work out that way, of course. From 1981 the Boomtown Rats would never trouble the UK Top 20 again. 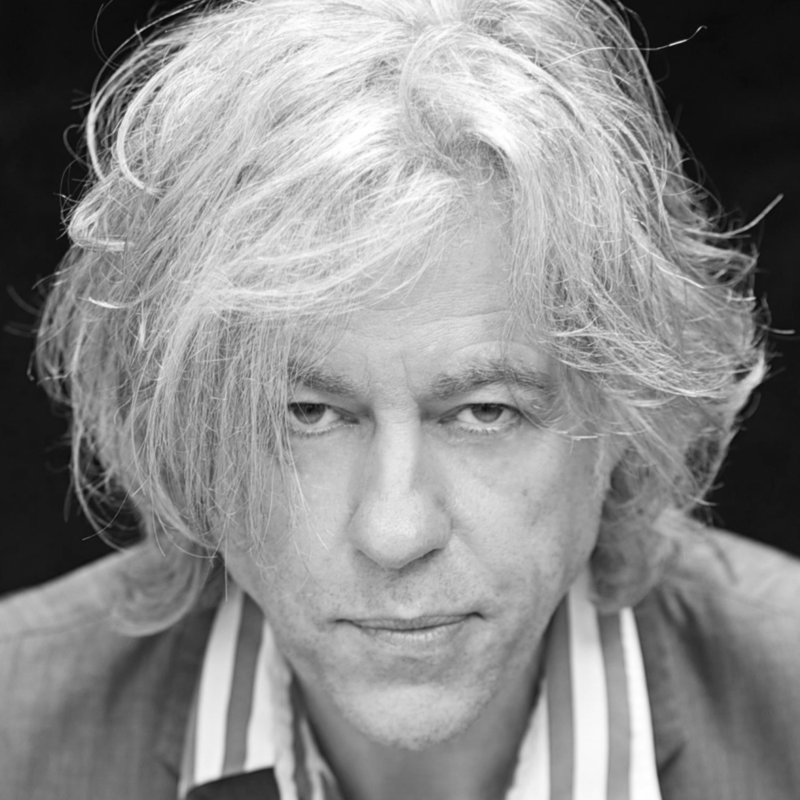 By the end of 1985, Live Aid had come and gone, the Boomtown Rats had split up, and life for Geldof would never be the same again. Amidst exceptionally tragic personal events, and his continued involvement with political issues and business ventures, he has released solo albums (from 1986’s Deep In The Heart Of Nowhere to 2010’s How To Compose Popular Songs That Will Sell) and toured on a regular basis. While global political matters remain crucial, music continues to inspire him. Reformed in 2013, the Boomtown Rats’ new album is scheduled for release later this year. 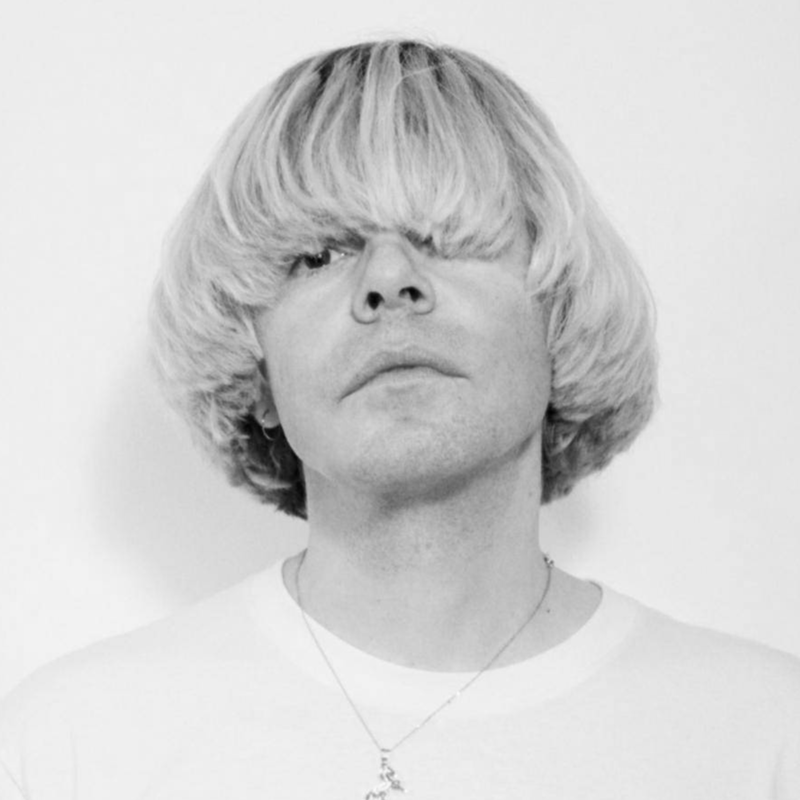 As lead singer of The Charlatans, one of the UK’s most durable bands of the past thirty years, Tim Burgess has documented his life and times in songs that are worthy of classic status. There is, however, another firm string to his bow: that of a very fine writer. In his 2016 book, Vinyl Adventures From Istanbul To San Francisco, Burgess lays it on the line: some people need music because they’re addicted to it. Albums, he claims, are soundtracks to moments in life, yardsticks to use for potential friends, clues to building profiles of people that could either attract or repel. They represent, he writes in the book, 'the Rosetta Stone from which almost everything can be worked out. The girlfriend you went to see Sonic Youth with has broken up with the guy with all the Hootie &nsp; the Blowfish CDs? Aw, man, surely that was written in the stars?' As well as using albums as signifiers, however, Burgess also emphasises the importance of independent record shops as cultural and social meeting points (places where, he notes, 'magic moments' occur). Burgess will wax lyrical about the nature of vinyl and music with his good friend and all-round comedic Renaissance woman, Sharon Horgan. Geoff Barrow’s life changed in the summer of 1987 when, as a sixten-year-old, he heard Public Enemy’s 'Rebel Without A Pause' for the first time. At an underage night in Bristol, in a club called Studio, a DJ played the 12-inch version of the song (the first single from the hip-hop group’s 1988 album, It Takes A Nation of Millions To Hold Us Back). It was, he recalled, his Year Zero moment. 'When it came on, I had to sit down. I was absolutely floored by it. The enormity of Chuck D’s voice and the sub-bass . . . It was my punk.' From that late ‘80s epiphany, Barrow prepared for a life in music, first as a tape operator in Bristol’s Coach House Studios, then as a much-admired remixer/producer (for the likes of Paul Weller, Depeche Mode, Primal Scream, Tricky) and songwriter (Neneh Cherry). 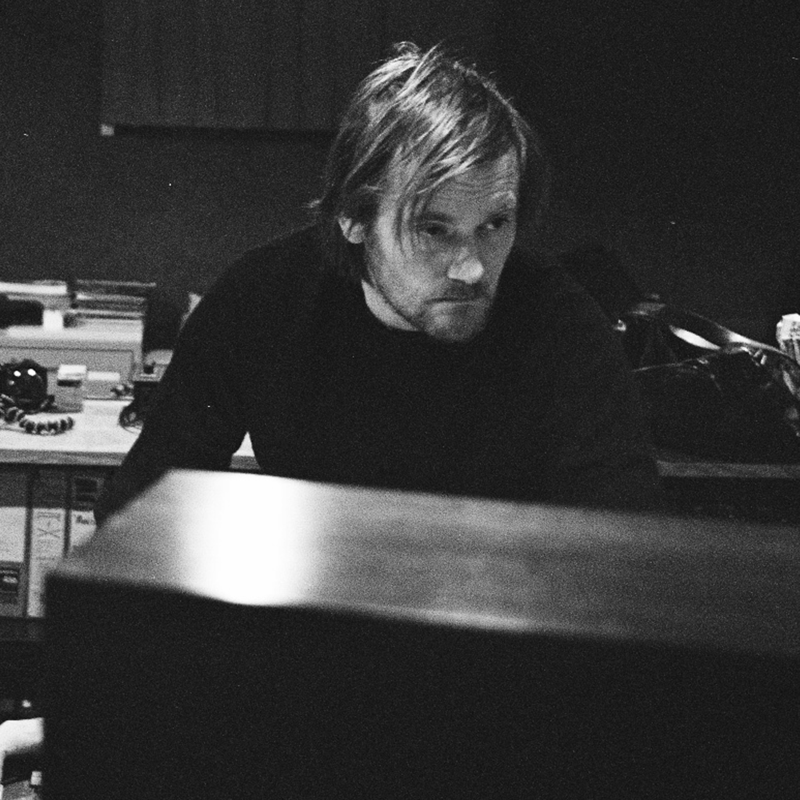 As a member of Portishead, Barrow (along with Beth Gibbons and Adrian Utley) not only defined an era but also pioneered a genre. Portishead’s 1994 debut album, Dummy, is considered a milestone in the definition of trip-hop (a tag that Barrow has since described as ‘nonsense'). Subsequent Portishead albums (1997’s Portishead, 2008’s Third) were equally admired. While forbearing fans await further original music, Barrow has kept himself busy as a soundtrack composer. In conversation with acclaimed Irish actor Cillian Murphy (Peaky Blinders), Geoff Barrow will discuss his career in music, from assisting Massive Attack during the making of Blue Lines to forming Portishead, and subsequently soundtracking films for Ben Wheatley (Free Fire) and Alex Garland (Ex Machina, Annihilation). There may be a comedy/drama writer and actor busier than Sharon Horgan but you’d be hard-pressed to name one. The person behind such praised ‘dramedy’ shows as Pulling, Catastrophe and Divorce was born in London but moved with her family to Ireland when she was four years old. She returned to London in her early twenties and gradually set about making her mark as a comedy sketch writer. In 2006, her career breakthrough came with Pulling, which won various British Comedy Awards. Within ten years, Sharon had co-written, with Rob Delaney, Catastrophe ('a real comedy gem'), co-written Motherland (with Graham and Helen Linehan), and through her independent production company Merman had devised/exec-produced Divorce, which stars Sarah Jessica Parker. Sharon is also a huge music fan, a lover of The Fall, The Charlatans, Kate Bush and Big Star to name but four of her favorites. 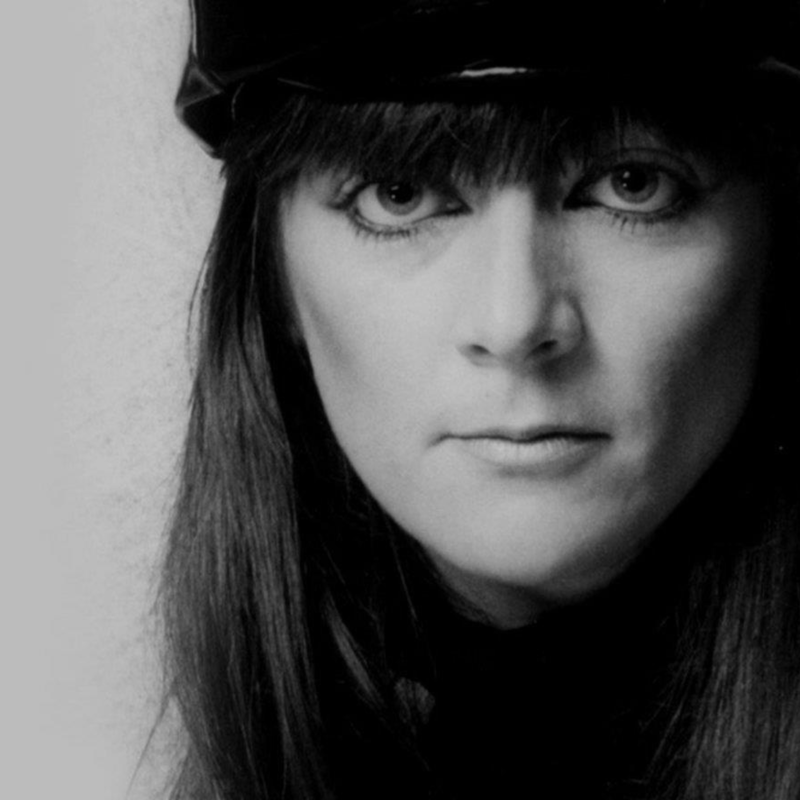 Once described as the Godmother of indie pop/folk ('I've never actually heard myself called that. If anyone did want to call me that, I'm not sure why I should mind'), Tracey Thorn is the positive creative thinker you’d like beside you if ever there was a time when you needed to hear a comforting and mellow voice telling you that things are actually going to be okay. Thorn has been doing very interesting work for a few decades now. Although the memories of Everything But The Girl have faded somewhat in all but the minds of the duo’s most avid fans, she has been busy enough within the past ten years, making up for a lowering of profile whilst she was raising her and Ben Watt’s children by releasing three superb solo albums (2007’s Out of the Woods, 2010’s Love and its Opposites, and this year’s Record). She is also no slouch when it comes to writing, as proven by her books Bedsit Disco Queen: How I Grew Up And Tried To Be A Popstar (2013), Naked At The Albert Hall (2015) and her regular column in New Statesman. 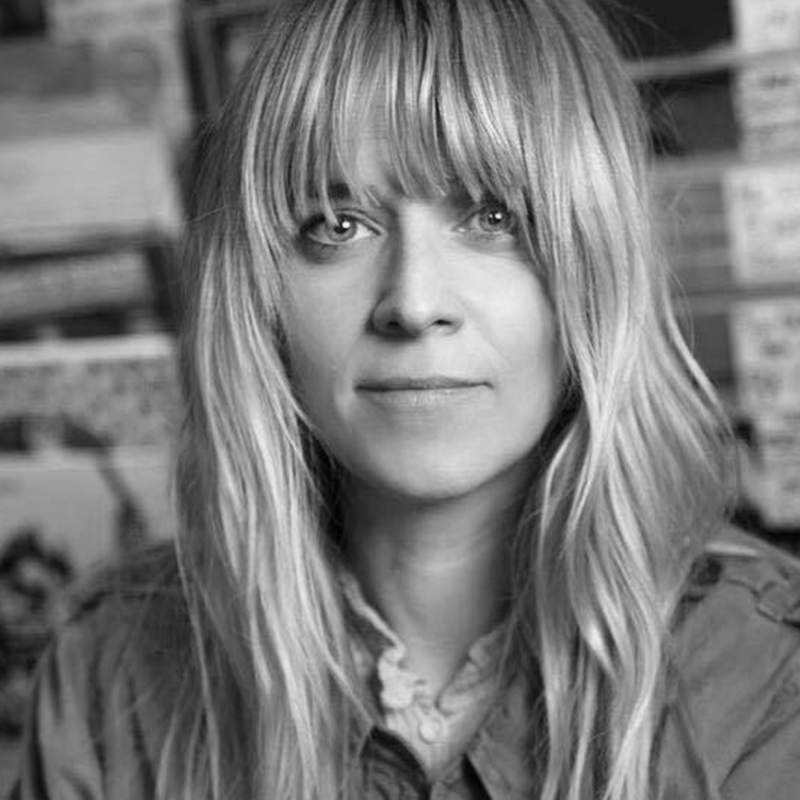 Scottish-born Edith Bowman has been at the forefront of UK television and radio for over fifteen years. A diversity of interests is her working style, from making documentaries on endangered crocodiles in Cambodia to hosting a wide range of pop culture shows on television (Top Of The Pops) and radio (BBC Radio 6 Music, Capital FM, Virgin Radio UK). Bowman has also covered festivals such as Glastonbury, T In The Park and Reading/Leeds for both BBC television and radio. From August 2016, she has fronted Soundtracking, a weekly half-hour podcast in which she interviews actors, directors, writers, and musicians about their relationship with film and music. In conversation with Stiff Records’ supremo, Dave Robinson, Shane MacGowan will be talking about his favourite records, what they mean to him, and how they shaped him as one of the greatest songwriters of the past forty years. 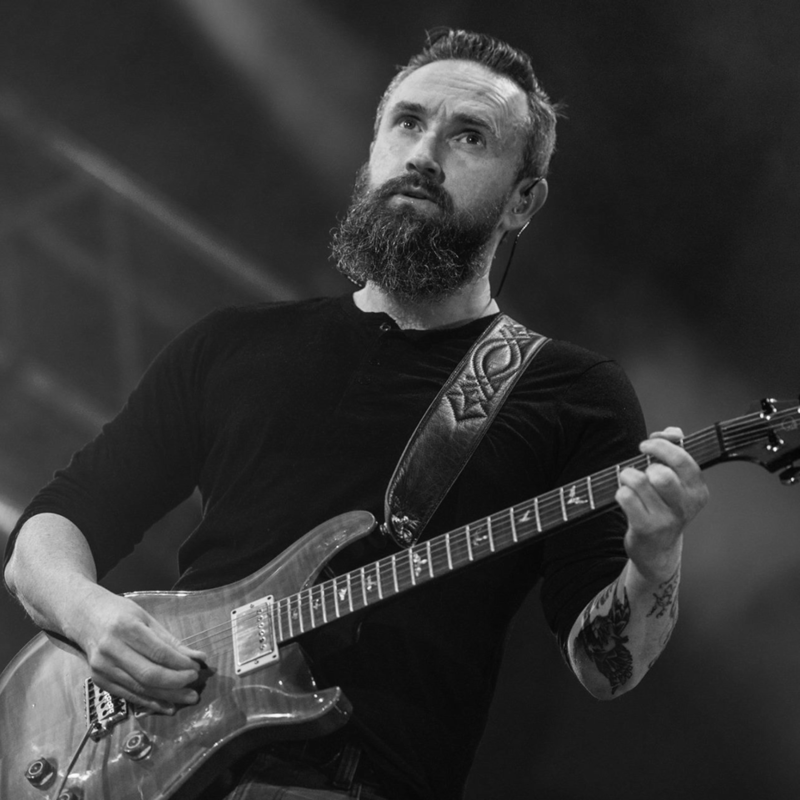 There is occasionally more than a symbiotic relationship between bands and producers, and none more so than that experienced between The Cranberries and Stephen Street. In the early ‘90s, having dispensed with the services of a previous manager following conflicts over scrapped recording sessions that were intended to set up material for their debut album, The Cranberries once again set forth to the recording studios. The band’s then new manager, Geoff Travis, secured the skills of former Smiths’ producer Stephen Street to help the young musicians. Twenty-five years later, that debut album has become a totemic example of what can happen when ideas and skills, naiveté and professionalism, combine. Written entirely by the band’s guitarist Noel Hogan and singer Dolores O’Riordan, Everybody Else Is Doing It, So Why Can’t We? has sold over five million copies. Its sales and influence aren’t about to stop, either, as a newly remastered version of the album — with previously unreleased and bonus material — is due for release later this year. A new studio album that O’Riordan had already recorded vocals for before her untimely death at the start of this year is scheduled for release in early 2019. Legendary Irish band Aslan have had more lives than the luckiest of cats. Formed in the early-‘80s on the north side of Dublin, Aslan rehearsed in a pig shed close to the airport, and hit the pop music spot in 1986 with their first single, 'This Is'. The song launched a career that, with some inevitable intermissions, continues to this day. What a career, though: tipped for international success, and with the weight of a major label (EMI) behind them, a series of self-detonations removed Aslan from contention. The first interlude arrived in 1988 when the band’s lead singer Christy Dignam was ousted from the ranks. Five years later, Dignam returned, the band signed to another major label (BMG) and released another single that (like 'This Is') quickly became one of the most played songs on Irish radio. Interruption number two came in the form of ill health for Dignam, who has courageously continued when others might have retreated from the spotlight. This year, the band celebrates the thirtieth anniversary of their debut album, Feel No Shame. The Emmy award-winning and Grammy-nominated Irish musician, filmmaker and broadcaster Philip King has been involved in the creative arts for over four decades. While known primarily for his pivotal role in overseeing the acclaimed television series Other Voices, King was also a central figure in the origination and development of the landmark Emmy-winning television series, Bringing It All Back Home. The series traces the astonishing return journey that Irish traditional music contributed to America and further afield, and in this exclusive event, King will explain how music that started in the kitchen found its way onto the international stage. STEPHEN AVERILL (U2 Designer) ‘DEATH VALLEY ’86’When a rock band aligns itself with a photographer or designer, crucial to the working relationship are certain conditions. On a naturally personal level, these include mutual respect and belief. On a business level, of paramount importance is the inclusion of understanding the band’s creative aesthetic (their visual ‘language’) and the relationship between them and their fans. As well as constant vigilant monitoring and developing of what is essentially a brand is a collaborative process that very few people manage to carry through the years. Dublin designer and musician Stephen Averill has been a steady presence beside U2 since the band’s 1979 debut single ’23’. Through every album (bar Rattle And Hum), Averill and his co-designers have stayed firmly alongside U2, a measure not only of mutual regard but also the total quality of the work. As well as Averill, U2 have a continuing partnership with Dutch photographer Anton Corbijn, who entered the band’s trusted inner circle around the time of the release of their 1983 third album, War. From here onwards, Averill and Corbijn developed an innate understanding of what they needed from each other. 'Anton is not the kind of photographer, like other photographers, I work with,' notes Averill on 100archive.com, 'where I art direct them. You don’t art direct Anton in the strictest sense. He knows what he wants.' The ‘War’ Room sees Anton Corbijn and Steve Averill recall their War stories, along with previously unseen images, designs, and slideshows. When your mother runs the Small Faces’ fan club then it isn't too much of a stretch to think that a career in music is a valid option. So it proved. 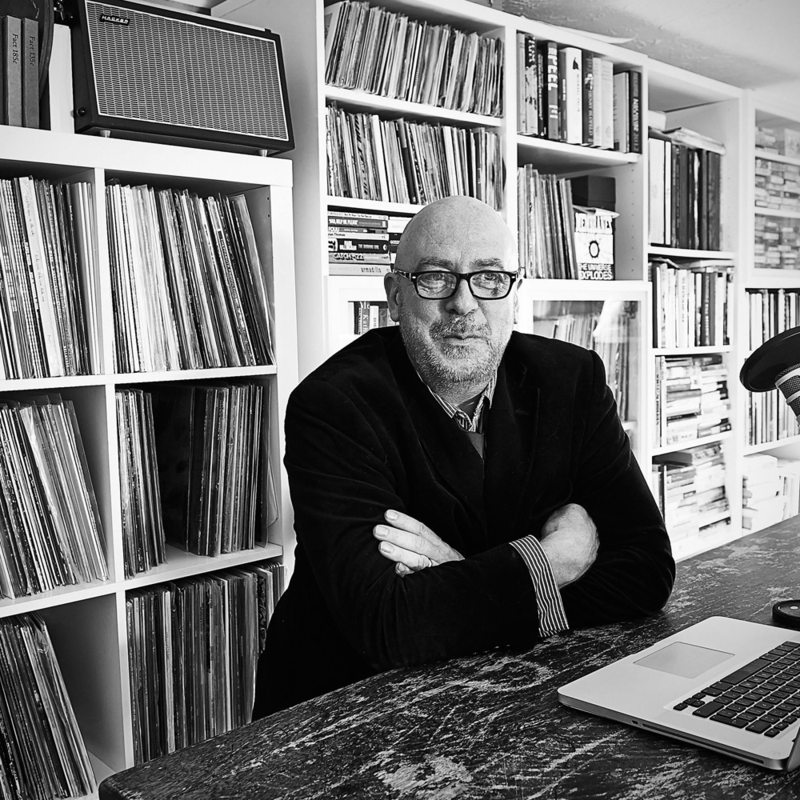 Following stints working at Stiff Records and then band management, in 1987 Ed Piller co-founded (with Gilles Peterson) the Acid Jazz label, which signed artists such as Jamiroquai, Brand New Heavies, and Terry Callier. 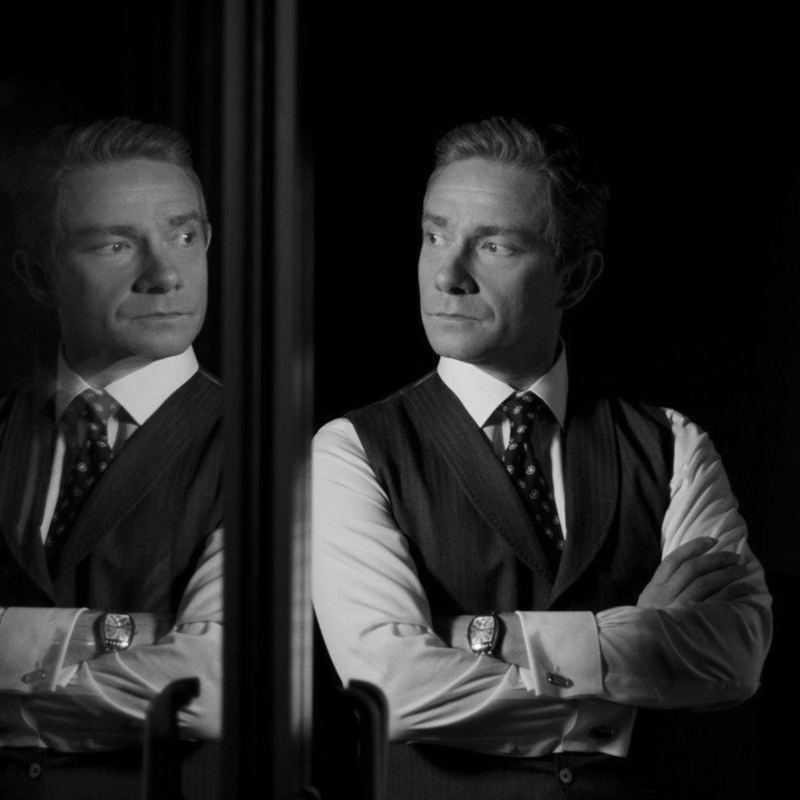 DJ, broadcaster and writer (as well as MD of Acid Jazz), Piller has recently teamed up with actor and fellow music fanatic Martin Freeman (The Hobbit, Sherlock) for the double album compilation Jazz On The Corner. Having previously co-hosted infrequent radio shows, Piller and Freeman discovered their mutual and obsessive love of jazz. The result not only officially launches the thirtieth-anniversary celebrations of Acid Jazz but also highlights how the different approaches of two music fans combine to create an eclectic yet involving track selection. From Mose Allison and Blossom Dearie to Marlena Shaw and Kamasi Washington — it's jazz on the corner and in your heart. In conversation with Mick Heaney, Ed Piller and Martin Freeman will discuss their love of mod subculture, its range of influences, its music, and how it informs their lives. There are several sections of a rock band’s life and career that have to be experienced before major success takes them into a different zone. These sections include the band’s pre-history and the ‘early years’, which are, effectively, settling in periods where personnel changes occur and where music styles are arrived at, mulled over, and then discarded. There is another section, however, that historically tends to overshadow what came before and after — ‘the classic years’. This is the time when everything gels: people, music, management, success. Thin Lizzy had to wait several years for this point to arrive, but when co-founders Brian Downey and Phil Lynott chose California’s Scott Gorham and Scotland’s Brian Robertson to lead the twin-guitar charge of their new material they knew they had made the right decision. Come 1976, the band’s sixth album, Jailbreak, made good on the promise of the previous two (1974’s Nightlife, 1975’s Fighting) by providing a massive hit song with 'The Boys Are Back In Town'. Subsequent ‘classic’ line-up albums (1976’s Johnny The Fox, 1977’s Bad Reputation) were equally as successful with hit songs 'Don’t Believe A Word' and 'Dancing In The Moonlight' making their mark internationally. Alongside Lynott, Downey and Gorham was trusted manager, Chris O’Donnell, who steered the band from obscurity to fame. There are few groups in popular culture as influential as Can, the Cologne experimental unit that derived its sound from jazz and the avant-garde, and then merged it with portions of electronic, psychedelic, funk, minimalist, and world music. The beginnings of Can as the pioneers of ambient music can be attributed to the Berlin-born classical composer, conductor and pianist Irmin Schmidt, who in 1966 visited New York, where he spent time with experimental musicians such as Terry Riley, Steve Reich, and La Monte Young. Returning to Germany some months later (Cologne, where he studied under Karlheinz Stockhausen), Schmidt teamed up with music teacher and bass player Holger Czukay, guitarist Michael Karoli (a young pupil of Czukay) and free-jazz drummer Jaki Liebezeit. Much of Can’s music was based on free improvisation, which was then edited for their studio albums. 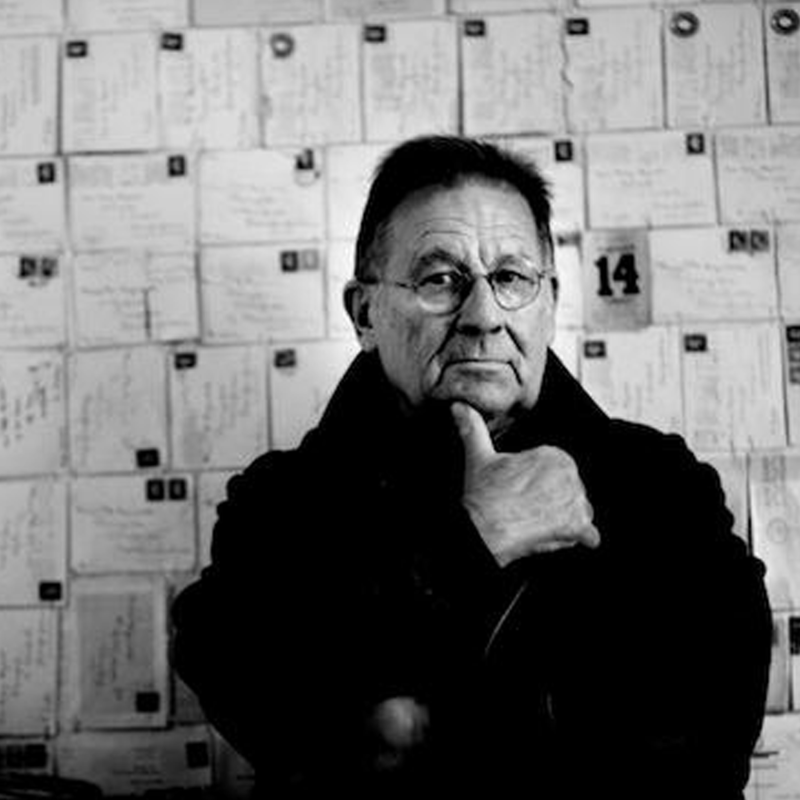 Can’s music casts a highly influential shadow over the UK post-punk genre, with bands such as Public Image Ltd, Joy Division, Siouxsie The Banshees, and The Fall citing the group as a pivotal stimulus — all thanks to Irmin Schmidt’s enthusiasm and explorative mindset. In conversation with writer Rob Young (All Gates Open: The Story Of Can), Irmin Schmidt will discuss the history and legacy of Can. Australian musician, visual artist and record producer Nick Seymour is no stranger to the pleasures of an irresistible pop song. As a founding member of the Australian/New Zealand group, Crowded House, Seymour was proactively involved in finessing the band’s often superlative pop songs. Inducted into the Australian Recording Industry Association (ARIA) Hall Of Fame in November 2016, Crowded House was responsible for pop songs as perfect as 'Weather With You', 'Don’t Dream It’s Over', 'Distant Sun', 'Locked Out', and 'Fall At Your Feet'. Following the initial demise of Crowded House in the mid-‘90s, Seymour moved to Dublin where he quickly established himself as a key producer, studio owner, and cooperative friend to the Irish music industry. In between working with Irish musicians (he produced BellX1’s debut album, Neither Am I) and fending off questions about a possible Crowded House reunion, Seymour creates distinctive works of art, including album cover designs. 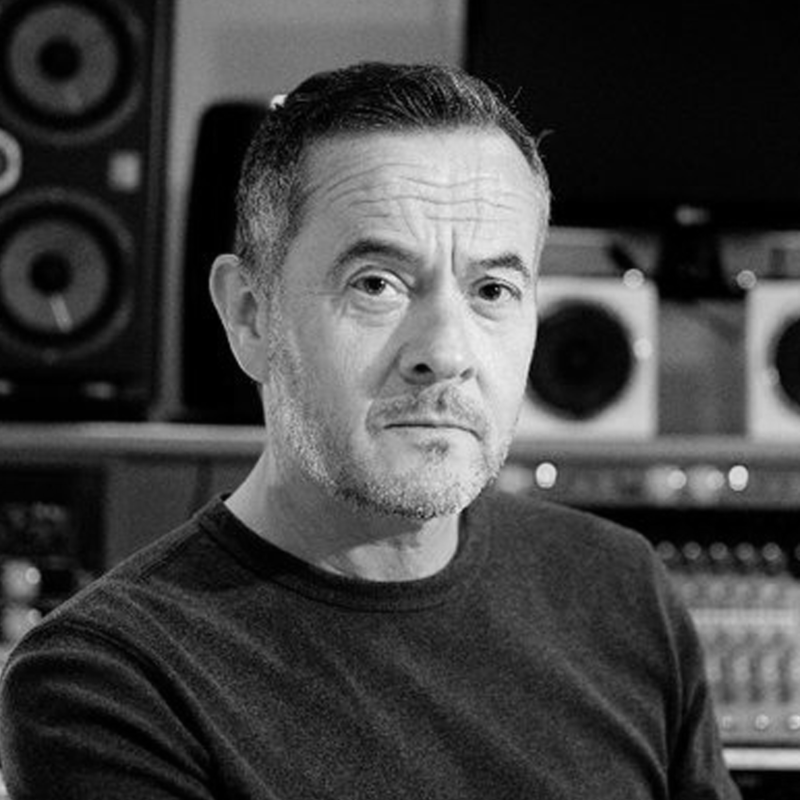 London-born Mark Ellis has a list of production credits that amount to a Who’s Who of Grade-A music acts. From U2, New Order, Nine Inch Nails, Depeche Mode, Nick Cave, and PJ Harvey to Foals, Sigur Ros, Warpaint, Smashing Pumpkins, The Charlatans, and The Killers, Ellis is not only highly regarded by his peers but also by celebrated musicians he convinces to take artistic leaps into uncharted territories. Such an approach stems from his background as a musician, a fact that came to the fore — perhaps more noticeably than elsewhere — with his work on U2’s Achtung Baby (1991), which is viewed as one of the most creatively triumphant risks a mainstream rock band has ever taken in altering their output from one sonic range to another. Billy Bragg, social causes, and political activism go hand-in-hand, and as the decades have passed so Bragg’s need to change things for the better (through his music, at the very least) has increased. His primary influences as a songwriter were formed by the combined fervor of Bob Dylan and The Clash, while his provisional political ideals were shaped following a Rock Against Racism event in 1978. Tentative steps in the music industry prompted a record deal in 1983 with the newly founded independent label Go! Discs, and what was once a dream for Bragg became real. Since the mid-‘80s, he has released over a dozen albums, all of which are firmly imbued with his political principles and motivations. 'I don’t mind being labeled a political songwriter,' Bragg has said. 'The thing that troubles me is being dismissed as a political songwriter.' In tandem with his songwriting, Bragg is a successful author of non-fiction books, the most recent of which, Roots, Radicals and Rockers, authoritatively outlined the history of skiffle. 'Bragg writes with clarity . . . A definitive history of that legacy,' noted The Irish Times in its review of the book. Welsh musician, author, filmmaker, producer and composer, Gruff Rhys fluctuates between solo work and frontman duties with Super Furry Animals (currently on hiatus). SFA’s acclaimed status is due in no small part to Gruff’s visionary and charmingly idiosyncratic ideas that are rooted in his knowledge of Welsh-language pop music and what he listened to as a teenager via Irish radio station 2FM, which (along with RTÉ Radio One) was broadcast across the Irish Sea into his hometown of Haverfordwest. His lauded solo work includes Hotel Shampoo (winner of the Welsh Music Prize 2011) and American Interior (2014), which marries music with an autobiographical film, a book and an app, each of which document Gruff’s search for his cultural roots. A little-known fact outside the confines of Wales: Rhys and DJ/radio presenter Huw Stephens are cousins. Radio presenter, DJ and television host Huw Stephens has set a record yet to be beaten: at the age of seventeen he joined BBC Radio 1, becoming the youngest ever radio presenter on the station. Almost twenty years later, Huw continues to broadcast on BBC (Radio 1 and Radio Cymru), as well as presenting live coverage from festivals such as Glastonbury, Sonar, Eurosonic, and South By South West. As a DJ, he has appeared in countries as far apart as Iceland and Patagonia, while for the past several years he has been an integral part of the Irish boutique festival, Other Voices. Peggy Seeger’s father was a musicologist. Her mother was a modernist composer, and the first woman to receive a Guggenheim Fellowship. Her half-brother was renowned folk singer Pete Seeger. 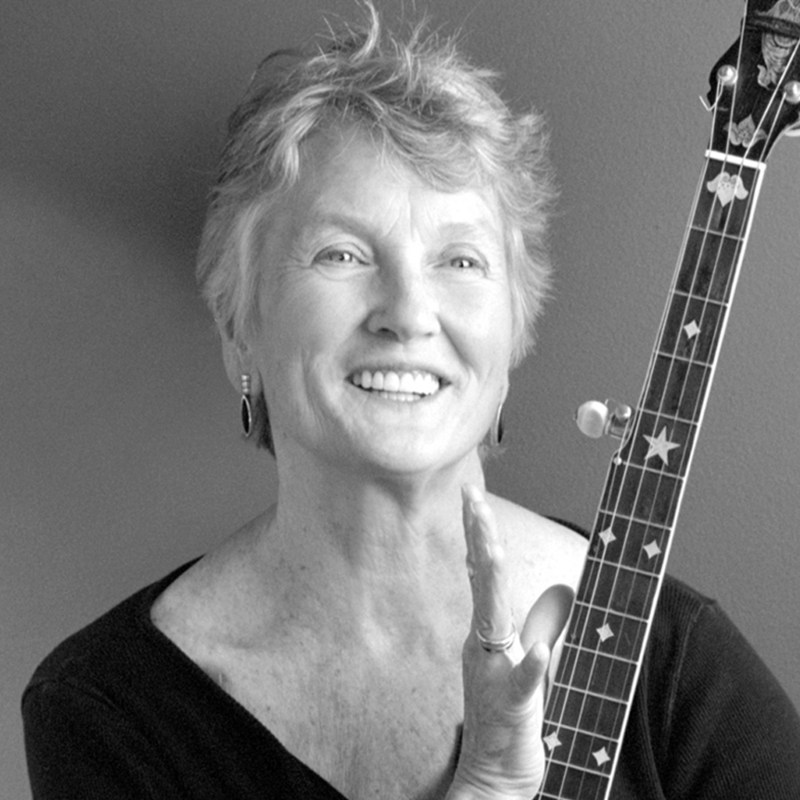 Her childhood was immersed in music and politics and involved direct personal insights into the lives of Woody Guthrie, Jackson Pollock, Alan Lomax, and Big Bill Broonzy. Add to these a visit to Communist China (which effectively barred her from returning to America), a marriage of convenience in London (specifically for the purpose of being granted British citizenship), a love affair with Ewan MacColl, a married man over twenty years her senior, a lifetime of becoming associated with the British folk revival, and you come to the obvious conclusion: there really should be a movie made about her life. In her 2017 memoir, First Time Ever, 82-year-old Seeger emerges as a staunchly feminist spirit, a true survivor. There may have been frequent conflict throughout her personal life, but her later years have been reasonably settled and has brought her deserved if belated acclaim. Life in music for Simon Raymonde began in the early 1980s with London-based post-punk band Drowning Craze. His best-known musical output, however, is with Cocteau Twins, who he joined in 1984. Remaining with them until they split up in 1997, Raymonde and Cocteau Twins’ Robin Guthrie had already co-founded Bella Union as the record label to release their own work. Now celebrating a shade over twenty years, Bella Union is, says Raymonde, 'an artist-run label', which is little surprise considering the supreme acts (including Fleet Foxes, Father John Misty, Laura Veirs, and John Grant) that are synonymous with it. Simon Raymonde will discuss the history and development of Bella Union, as well as the musicians associated with it. STEPHEN AVERILL (U2 Designer) ‘DEATH VALLEY ’86’ When a rock band aligns itself with a photographer or designer, crucial to the working relationship are certain conditions. On a naturally personal level, these include mutual respect and belief. On a business level, of paramount importance is the inclusion of understanding the band’s creative aesthetic (their visual ‘language’) and the relationship between them and their fans. As well as constant vigilant monitoring and developing of what is essentially a brand is a collaborative process that very few people manage to carry through the years. Dublin designer and musician Stephen Averill has been a steady presence beside U2 since the band’s 1979 debut single ’23’. Through every album (bar Rattle And Hum), Averill and his co-designers have stayed firmly alongside U2, a measure not only of mutual regard but also the total quality of the work. As well as Averill, U2 have a continuing partnership with Dutch photographer Anton Corbijn, who entered the band’s trusted inner circle around the time of the release of their 1983 third album, War. From here onwards, Averill and Corbijn developed an innate understanding of what they needed from each other. 'Anton is not the kind of photographer, like other photographers, I work with,' notes Averill on 100archive.com, 'where I art direct them. You don’t art direct Anton in the strictest sense. He knows what he wants. 'The ‘War’ Room sees Anton Corbijn and Steve Averill recall their War stories, along with previously unseen images, designs, and slideshows. As lead singer of The Charlatans, one of the UK’s most durable bands of the past thirty years, Tim Burgess has documented his life and times in songs that are worthy of classic status. There is, however, another firm string to his bow: that of a very fine writer. In his 2016 book, Vinyl Adventures From Istanbul To San Francisco, Burgess lays it on the line: some people need music because they’re addicted to it. Albums, he claims, are soundtracks to moments in life, yardsticks to use for potential friends, clues to building profiles of people that could either attract or repel. They represent, he writes in the book, 'the Rosetta Stone from which almost everything can be worked out. The girlfriend you went to see Sonic Youth with has broken up with the guy with all the Hootie & the Blowfish CDs? Aw, man, surely that was written in the stars?' As well as using albums as signifiers, however, Burgess also emphasises the importance of independent record shops as cultural and social meeting points (places where, he notes, 'magic moments' occur). Burgess will wax lyrical about the nature of vinyl and music with his good friend and all-round comedic Renaissance woman, Sharon Horgan. Popular music is the cultural generator of the 20th century. At its heart has always been the vinyl record, that object of near fetishistic desire and a stimulus for wild debate. We pursued our records insatiably, hunting them down to obscure cramped shops teeming with like-minded souls, rushing them home to our quiet little rooms. We carefully slipped them out of their thin, white sleeves and played them from start to finish, side after side, flipping them over lovingly, longingly, again and again. We loaned them out reluctantly, borrowed them greedily, pored over the sleeve-notes and artwork in moments of peace. We cherished them without shame, coveted them without guilt, adored them with a passion. We viewed them in equal measure as whispers in a confession box, screams in a field, and letters to a lover.